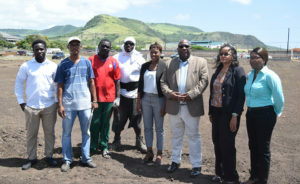 BASSETERRE, St. Kitts – The Honourable Dr. Timothy Harris, the prime minister, got a first-hand look at the progress of the work being done on the National Heroes Park as officials remain confident the historic park will be in a state of readiness to host this year’s National Heroes Day activities Sept. 16. While there, Project Manager Calvin Pemberton gave the delegation an overview of the park, which will include a welcome center, a multi-purpose amphitheatre, a parade square, a pavilion, a museum and a designated area where the busts of the National Heroes will be erected. Harris said after his tour the work being undertaken represents the fulfillment of another commitment made by his Team Unity government. “In my address on this matter on the 16th of September, 2016, I did promise the country that we will create on this site a beautiful National Heroes Park where one can come and basically familiarize himself or herself with respect to our national heroes,” he said. “To date, we have five national heroes and we are advancing work. He also thanked permanent secretary in the Office of the Prime Minister, Osbert DeSuza – who is currently in Cuba overseeing the completion of four of the five busts that will be on display at the park – for his work and dedication to the project. Senator Phipps, in her remarks, explained that the National Heroes Park will be one that each citizen and resident of St. Kitts and Nevis should have a vested interest in. 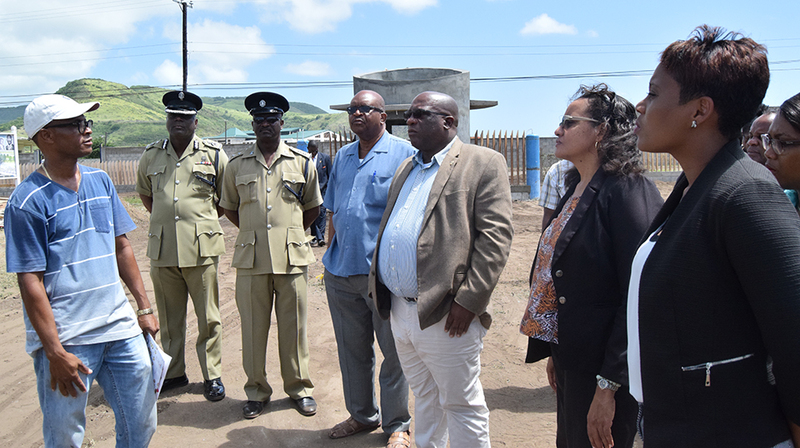 “We would wish for the people of St. Kitts and Nevis to understand that this facility is their facility – it’s the people’s facility – a place where we can hold up to honour those … who would have contributed immensely to the socio-economic, political and cultural development of our federation,” she said, adding that the park is being designed to last a very long time, with additional space for busts of any future national heroes. 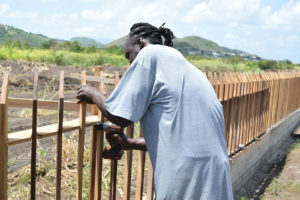 Byron-Nisbett indicated that a park, solely dedicated to honouring the life and work of the country’s national heroes, holds significant importance for all Kittitians and Nevisians, particularly school children. St. Kitts and Nevis’ five national heroes are the Right Excellent Sir Robert Llewellyn Bradshaw; the Right Excellent Sir Caleb Azariah Paul Southwell; the Right Excellent Joseph Nathaniel France; the Right Excellent Sir Simeon Daniel; and the federation’s only living national hero, the Right Excellent and the Right Honourable Sir Kennedy Alphonse Simmonds.